City Commissioners this week approved a long-term contract to keep Design Miami in Miami Beach for six years through 2023 with an option to renew for an additional five years through 2028. Since 2010, Design Miami has been located in the surface parking lot adjacent to the Convention Center in conjunction with the Art Basel Miami show. With the new Convention Center coming online next year and Art Basel’s recent long-term commitment to Miami Beach, Design Miami began discussions with the City on its future. Following completion of the Convention Center, the parking lot will become a public park. 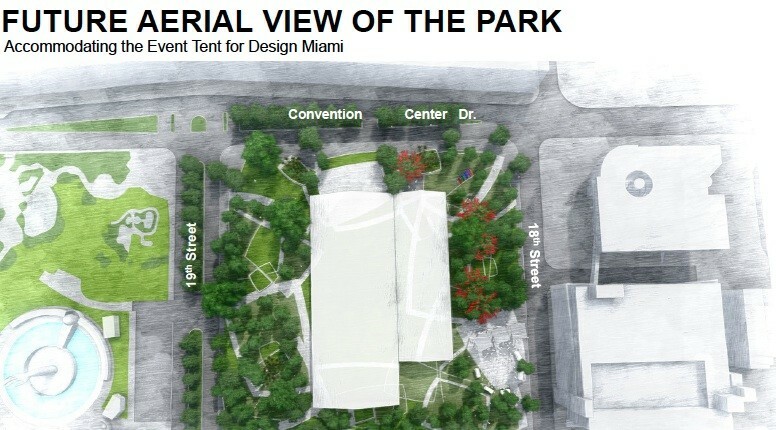 To accommodate Design Miami, the park will require design changes including rearranging the location of the tree canopy and electrical and footing improvements for installation of the Design Miami exhibit tent. Using the model of the Frieze London art show held annually in Regent’s Park in London, Design Miami will be located within the park near the west side of the Convention Center. 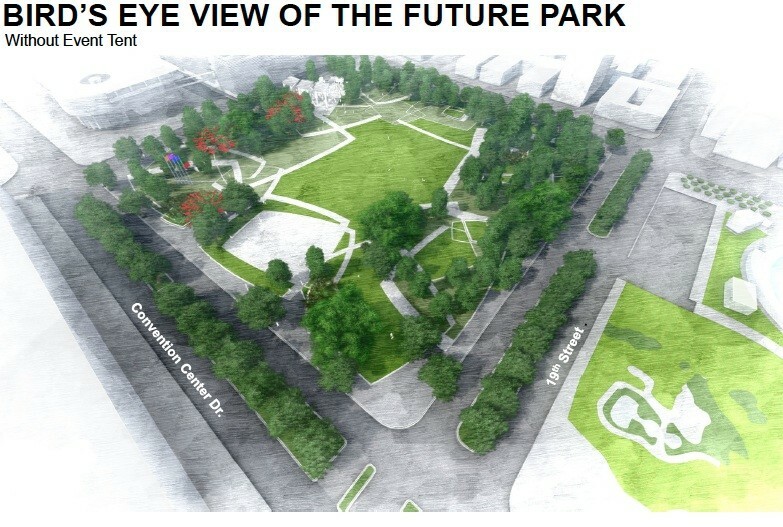 At the Commission’s Finance and Citywide Projects Committee meeting last week, Commissioners asked Design Miami to pay some or all of the $355,000 cost for the park redesign. But at the Commission meeting, representatives for Design Miami said that would be a hardship and they asked Commissioners to approve the contract as negotiated. Under the agreement, starting in 2019, Design Miami’s fees will increase from $107,000 to $150,000 annually plus applicable taxes with a CPI escalation. In 2018, due to the “park transition” from parking lot/construction staging area, the fee will be $128,500 plus taxes. Under the agreement, should Design Miami terminate the agreement for convenience prior to 2023, the show would reimburse the City for the redesign costs and cost of electrical and footing improvements related to the Design Miami shows.